These Valentines are a bit of a departure for me. 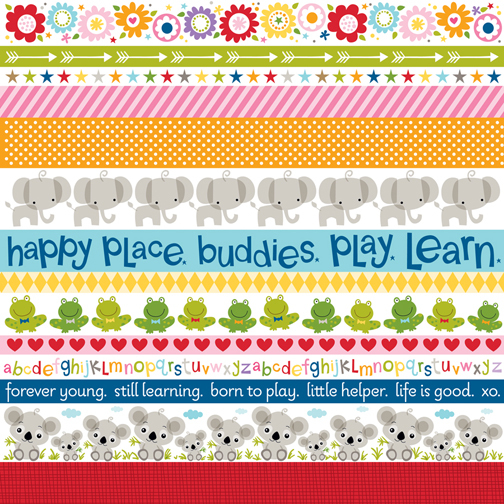 They started because I love the paper (from Basic Grey’s Out of Print collection) and was eager to use it. 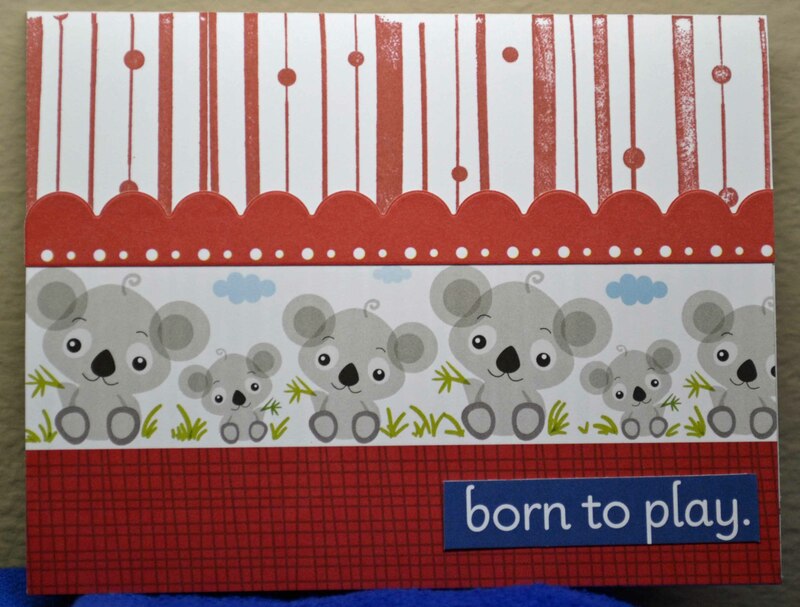 Because these are two-sided papers, I cut a piece about a quarter of an inch larger than the normal front of my A2 card. 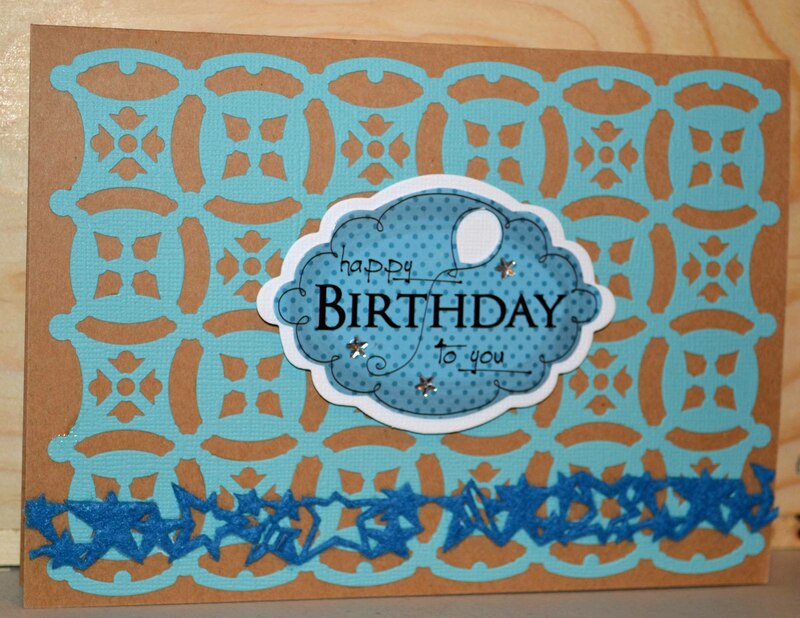 I scored the top, then attached the small scored part to the back of a flat card. 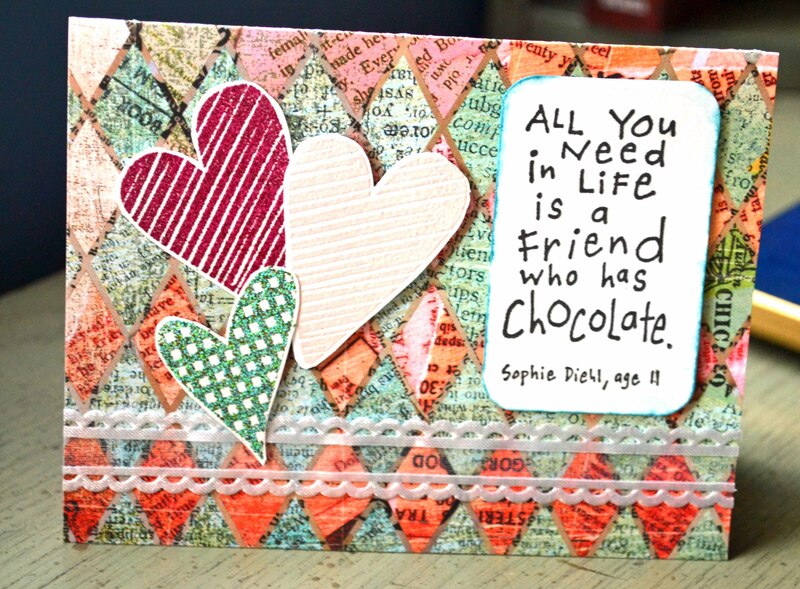 The hearts (Hero Arts) were embossed with American Crafts’ Zing Blush, Ranger Antique Claret, Ranger Antique Verdigris. Sentiment from Inkadinkado. Because the ribbon is so sheer I ran it through my Baby Xyron for adhesive. Paper, sentiment, ribbon all from the vendors above. 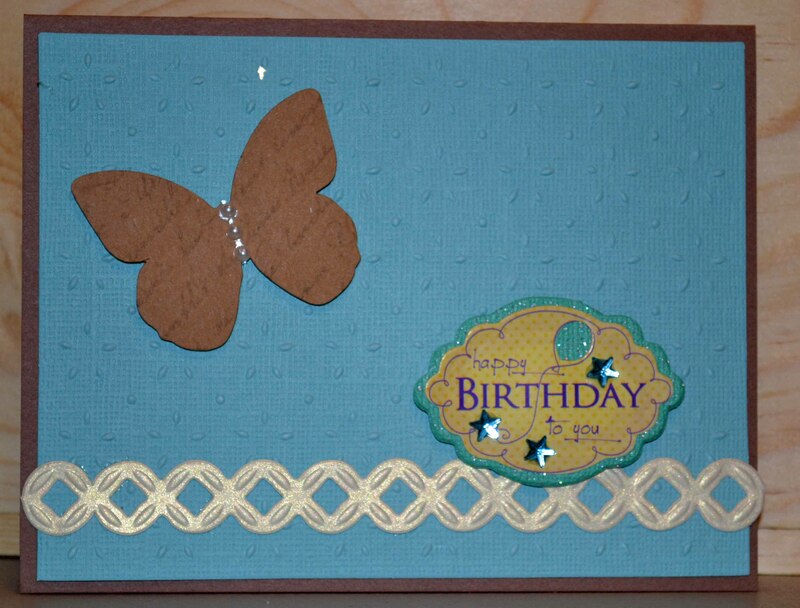 The chipboard butterfly is from my stash. I rubbed it Viva Décor Inca Gold (I love these creamy colorants) in Rose Quartz and Inca Gold (the only two colors I have. 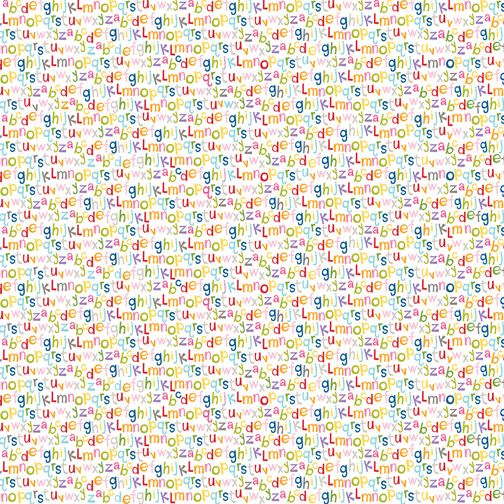 I think I need more.) 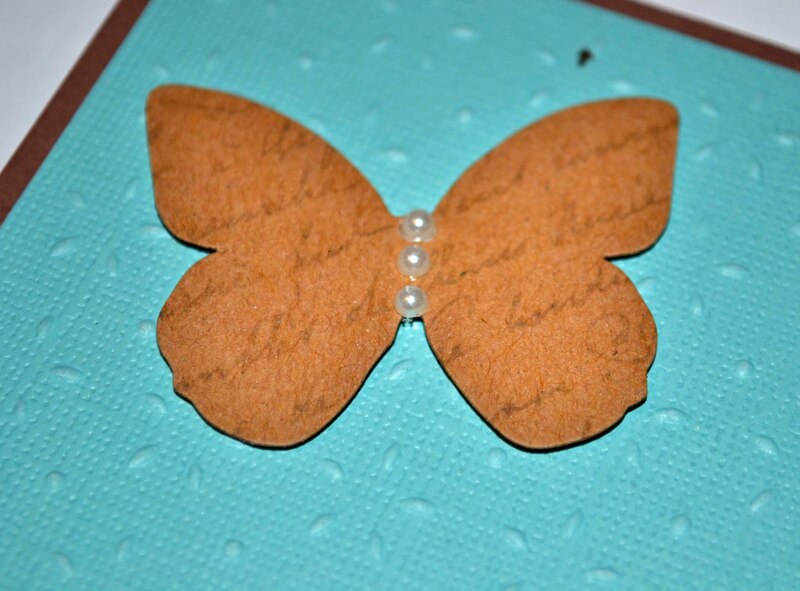 I stamped the butterfly with a text background (Hero Arts) and added a few pearls. 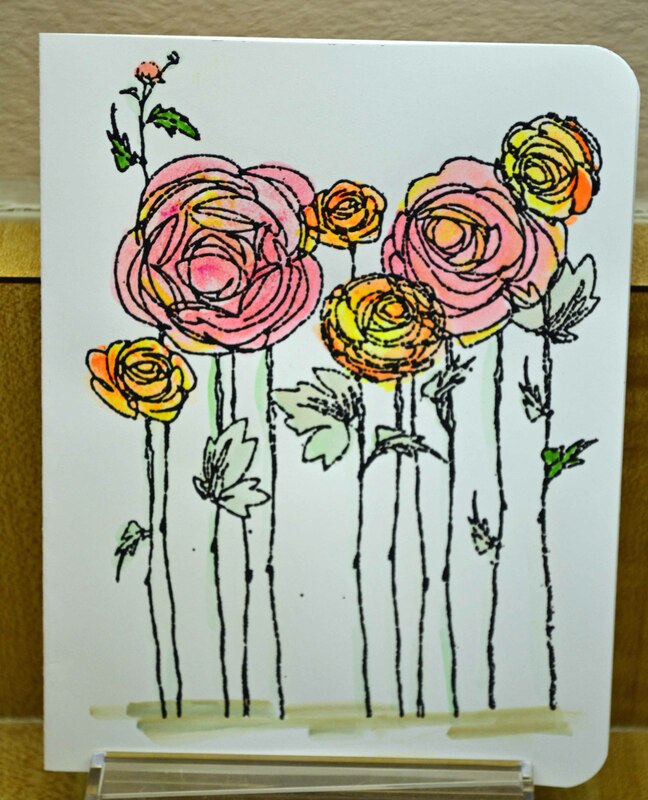 It’s a little hard to see, but I dotted the centers of the lace flowers with Viva Silver Pearl Pen. 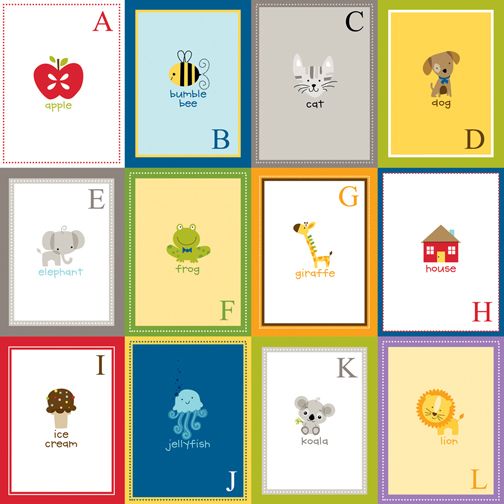 Here’s the last of my card sets, and maybe my favorite. 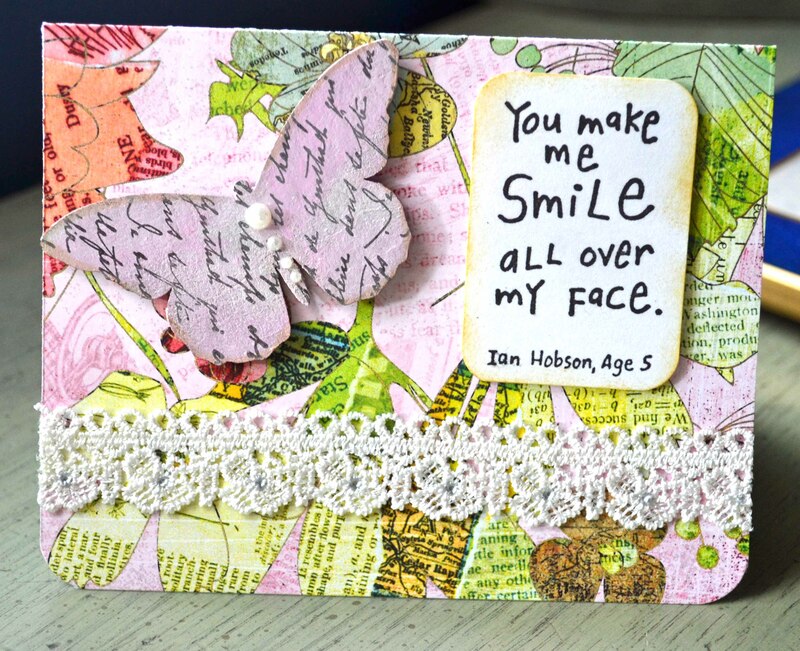 These cards are so fast and easy and I used up a lot of my scraps! 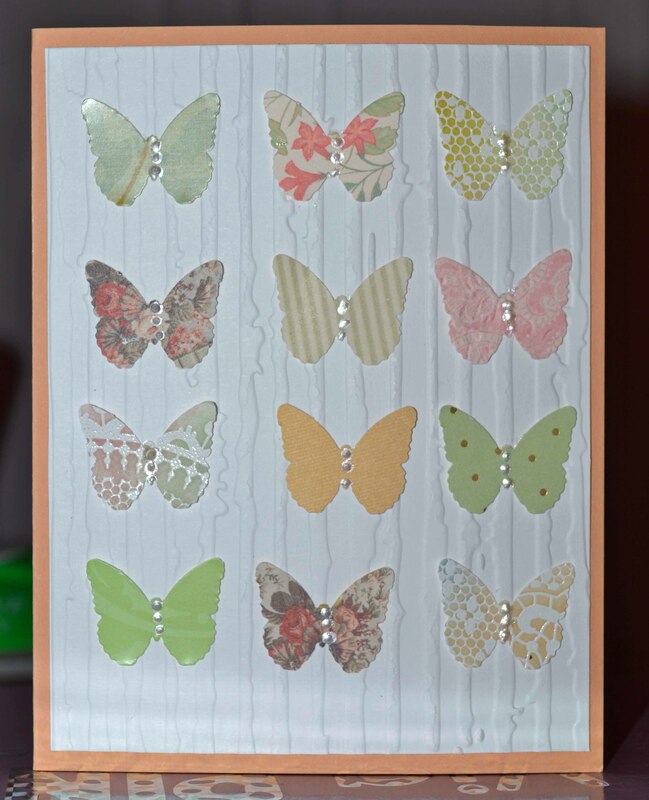 This project is also great when you need something to do while watching TV — I take a big stack of scraps, a few punches, and punch away during the commercials. 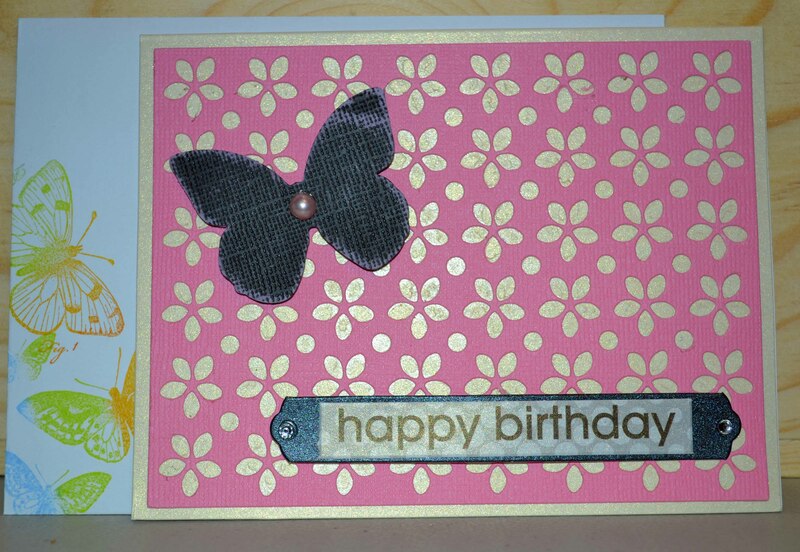 Pretty self-explanatory here … I ran the top paper through a Cuttlebug embossing folder (using my Sizzix Big Shot), layered it on cardstock, and added the butterflies (punch is from Martha Stewart/EK Success.) 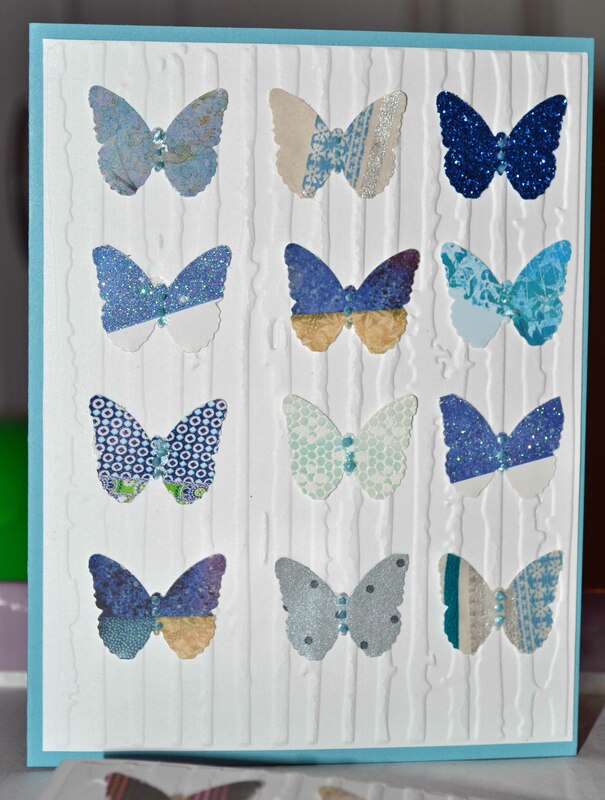 I added small dots of Ranger’s Opal dimensional paint and/or Stickles. In a rush? 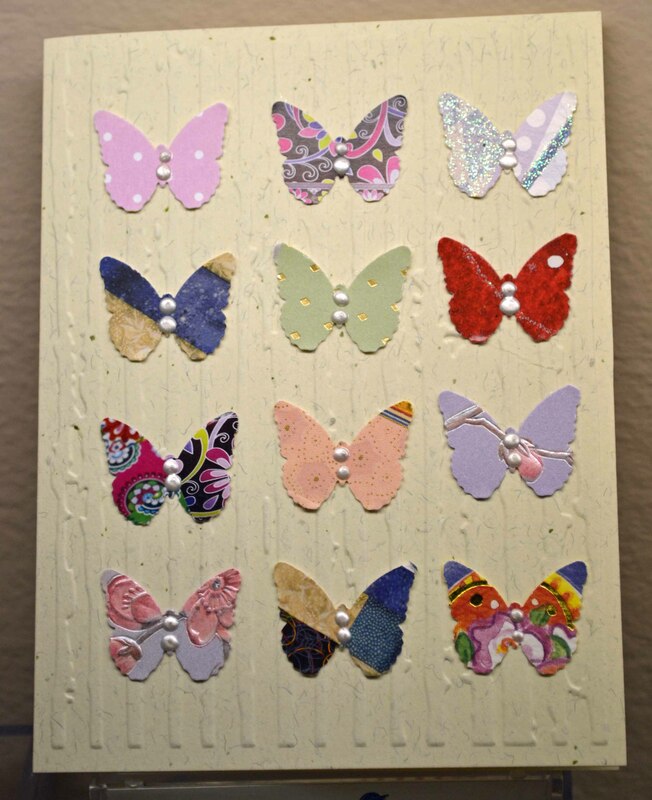 Have a card emergency? 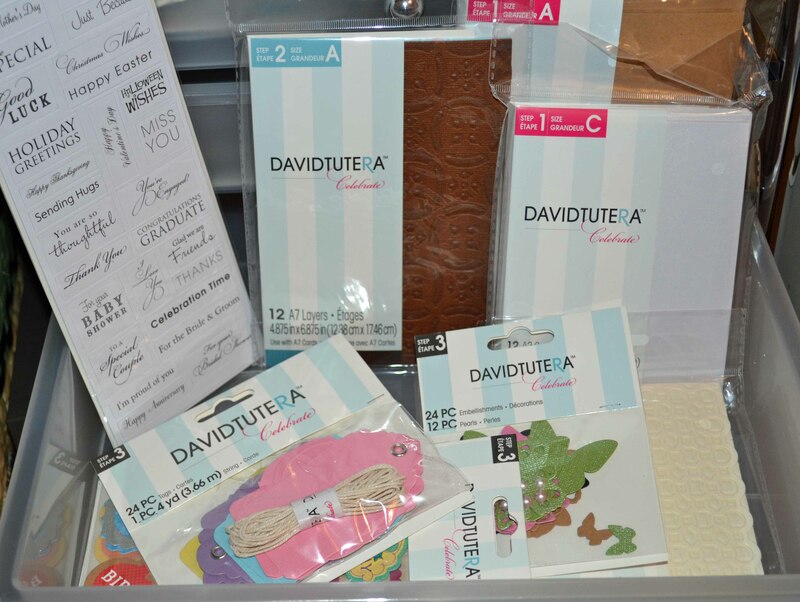 David Tutera (working with Core’dinations) has come to the rescue, making it easy for anyone — even non-stampers — to make several cards in the time it takes to brew a cup of tea. 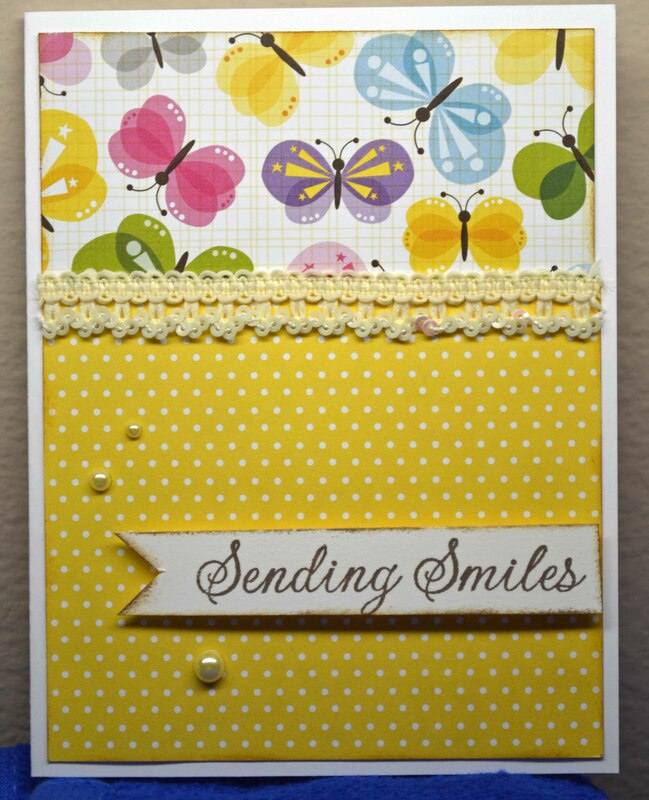 The collection is a great introduction for beginning crafters, but experienced cardmakers will find it easy to turn it up a notch. 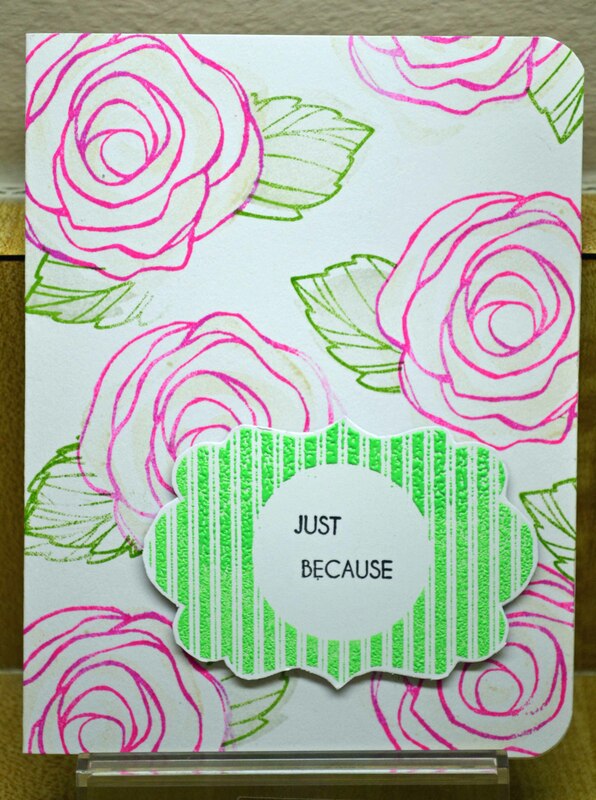 There are three basic steps: Pick your card base, add a layer, and finish with a sentiment and embellishments. 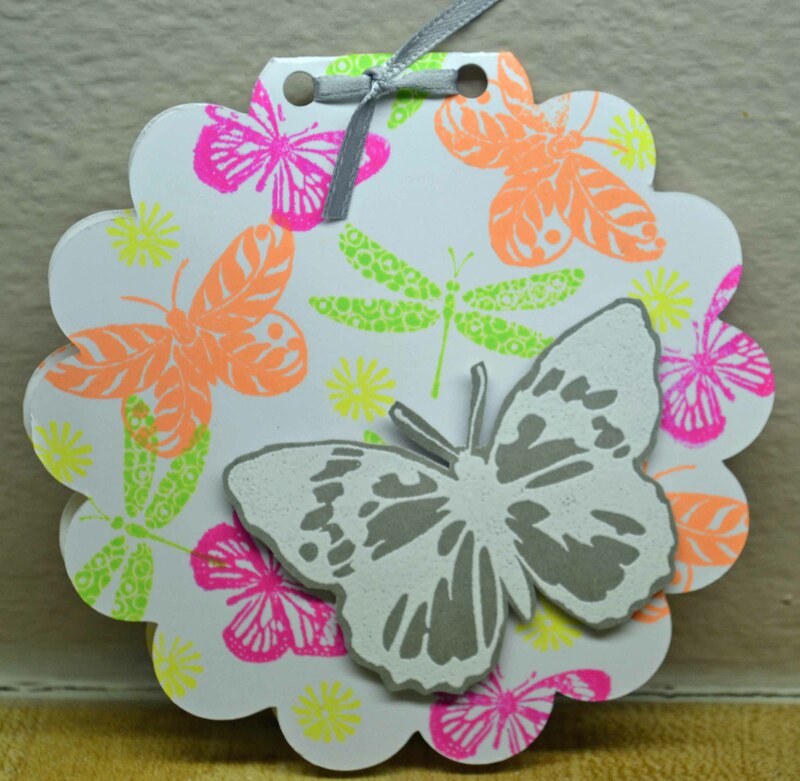 Stampers, of course, can add a stamped sentiment or embellishment. Don’t forget to stamp the envelope!